Categories: New Arrivals, Casual Collection, Necklaces. 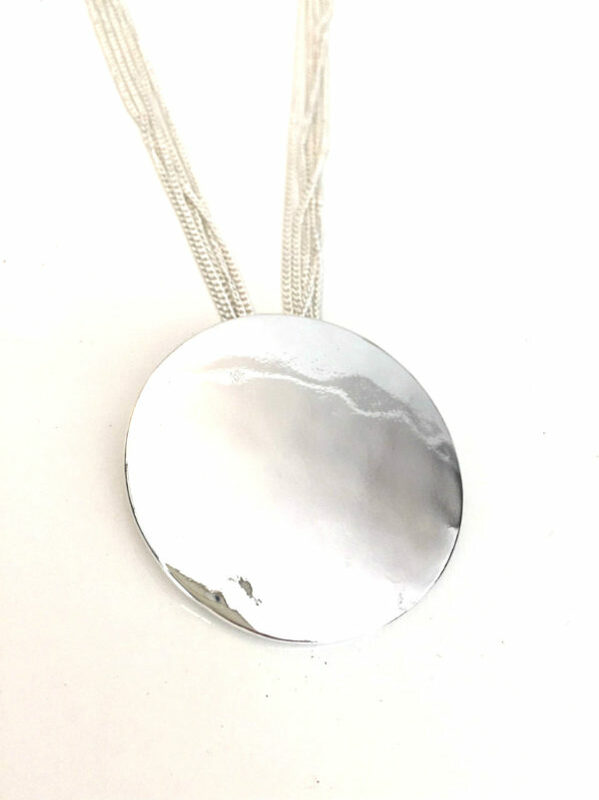 Tags: hammered disc pendant, silver, silver chains, statement necklace. Our Silver Disc Multichain Necklace is perfect for those who love silver colored jewelry. 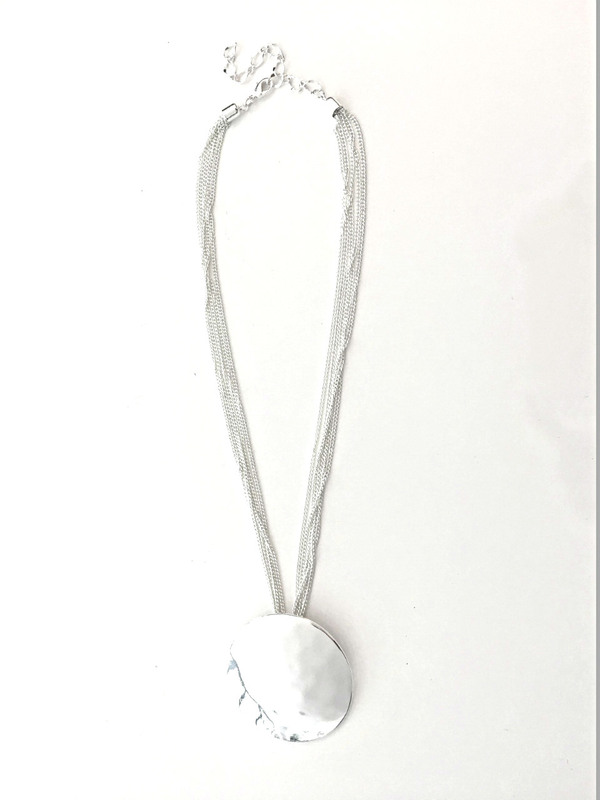 This piece features a shiny sleek hammered disc pendant strung through multiple strands of delicate silver plated chains. The overall look is simple and modern yet still creates that statement look. The silver plated chains come with a lobster clasp and extender.